Join RideLondon-Surrey 45 Guaranteed Places Available. Prudential RideLondon-Surrey is an annual 3 day cycling festival. Test your stamina in this 100 mile open road cycle race and raise money for a good cause! Are you up for the challenge of a lifetime? 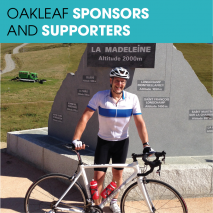 Join the Oakleaf Team for the Prudential RideLondon-Surrey 100 in 2018 and raise money for better mental health. No Ballot. No Sign Up Fee! Guaranteed places available. Sign Up NOW! 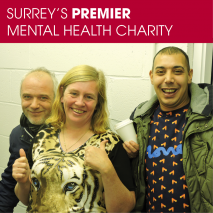 We have guaranteed charity places available. 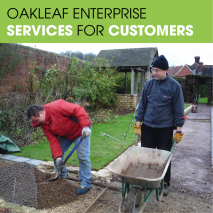 Download the application form here and return to camillidabreau@oakleaf-enterprise.org. Please note there is no minimum fundraising target if you have a Public Ballot space. 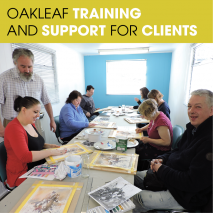 For more information, email camillidabreau@oakleaf-enterprise.org or call 01483 303 649.